Never one to disappoint, Coffee Wednesday was chock full o’ nuts, mainly because both my wife and I were there. The gathering was full of conversation. And good ideas. And cellos. Did I mention cellos? 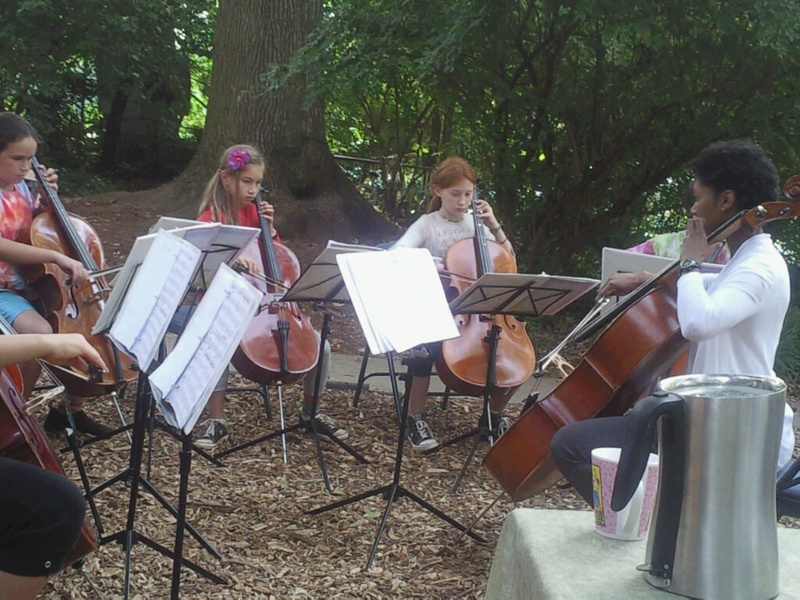 If cellos play in the forest at Coffee Wednesdays, does anyone hear them? You bet they do. The fifth grade cello students delighted us with a few selections from their repertoire. It went nothing like this, but was at least as delightful, and begat at least as many smiles. The four or so songs included a piece entitled “Babylon” and some traditional music as well. It was such a treat. And it’s so refreshing to hear live music, especially when you’re not surrounded by thousands of screaming fans. I can’t wait for next week’s 4th grade cello performance. While Carmen spoke with a new acquaintance, Ashley and I talked about writing for the school and otherwise. She brought up a fantastic point about writing: it’s an invitation to experience something. 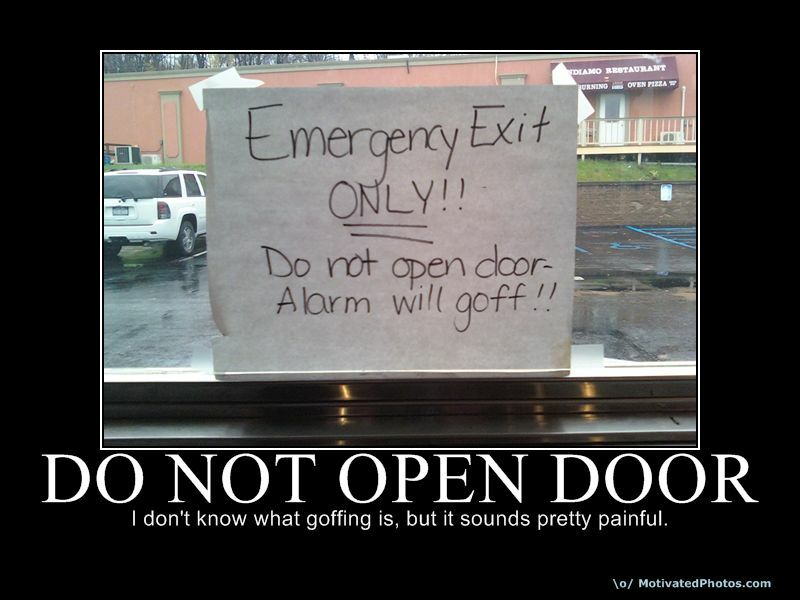 What a good way to put it! And so true; when you put words down on a page — paper or electronic — you’re conveying a thought, striving to impart something you’ve experienced to someone else who hasn’t. As another pal pointed out a loooong time ago, “Good writing means never having to say, ‘Well, I guess you had to be there. '” (Thanks, Gary!) Writing — quality writing — is an invitation to an experience, but it’s also a conveyance, a vehicle that takes the reader there. If you haven’t made it here, to Coffee Wednesdays, consider this an invitation. And if you can’t make it, I hope this Heavy Mental weekly feature gets you at least halfway. I asked these questions because I do care about what I write – and it’s my job to care about what others write. Receiving two responses … wait, make that three (one more while I’m writing this) within two hours of posting, I was pleasantly surprised to find others who share a similar concern for the written word. One responder brought up the unfortunate trend of instant messaging and text messages contributing to “lackluster writing.” I couldn’t agree more. I mean, I’m the kind of guy who takes the time to punctuate text messages correctly. The above posting continued: “However, it’s up to us to maintain quality.” And there it was: Quality. It’s an adequate word choice for our collective responsibility. Like the change of scenery and entering a new industry, one intangible that endeared my then-prospective employer to me was our tagline: “Quality In Everything We Do.” The word quality is of interest to me since ensuring quality in writing is the locus of my work. The word – like the sentence that contains it – applies to so much more than writing. But I’ve already addressed that in an earlier post. I suppose that quality in terms of writing was what drove me to that posting earlier today. Why? I write, edit, and proofread for a living, so I see the good, the bad, and the are-you-missing-keys-on-your-keyboard?!? At times, I’m encouraged by the quality of that which I edit and the text messages I read; other times, I read to my chagrin; still other times, I become nauseous. Perhaps, after retiring, I could open up Derek Hambrick’s Institute for People Who Can’t Write Good or maybe sponsor a chain of Grammar, Spelling, & Syntax Shelters for Editors. Until then, I seek to elevate writing’s quality. And I’m glad that others still care about it, too.